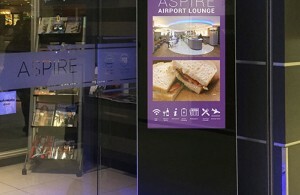 We have a good choice of USB Digital Signage screens. 24/7 Commercial grade screens, with 3 year warranty, and lifetime technical support. All can be used portrait or landscape. Simply load content, Jpegs and videos, onto USB stick and upload onto the screen. Content will then play in a continuous loop.